With an AO Aftercare Protection Plan, you can relax in the knowledge that there's help at hand should your product break down. We’ll deliver any product to your home, 7 days a week and even the next day. We schedule deliveries from 7am until 7pm. You can choose a paid morning or afternoon delivery timeslot when you checkout. We’ll text you a 4 hour timeslot on the morning of your delivery. Delivery restrictions apply. Please see our delivery page for more information. You don’t have to wait in to get this item, we can deliver your parcel to a local CollectPlus store. You can pick the item up at a time that’s convenient to you. △ The earliest delivery date may vary based on your postcode. If your order is £199 or more, you can spread the cost with our finance options. Buy Now Pay Later - this lets you take a 6 month payment holiday. 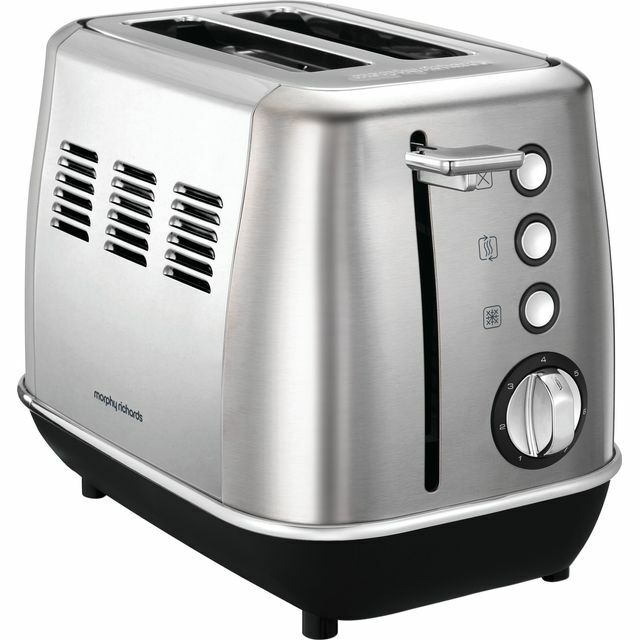 Look forward to the most important meal of the day with this brushed steel 2 slice toaster from Morphy Richards. 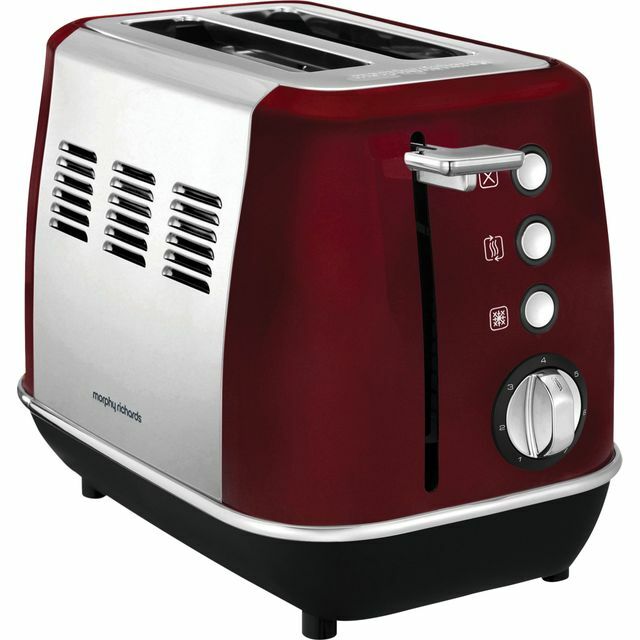 The high lift function makes it easy to grab small items like muffins and crumpets, so you can enjoy a delicious eggs benedict without burning your fingers. 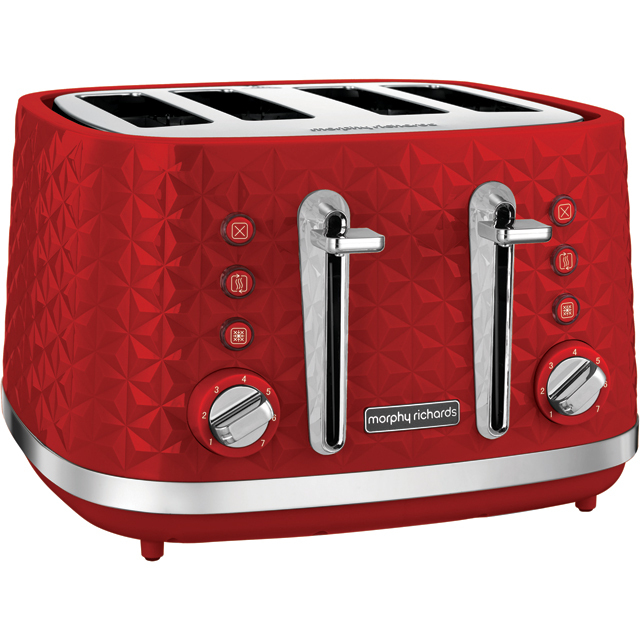 Your breakfast will always be served just how you like it, as the variable browning function lets you adjust how well done your toast is. 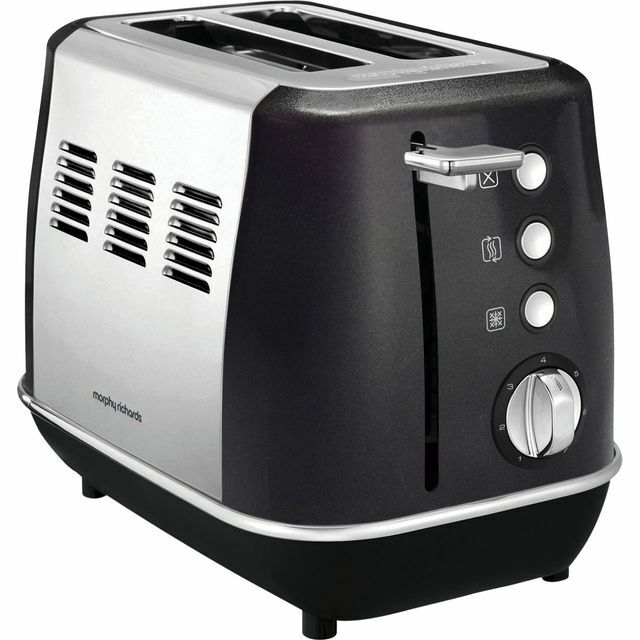 There’s no need to worry if you forget to defrost a loaf, as the frozen bread function lets you make perfectly browned toast straight from the freezer. It even has a handy removable crumb tray, so cleaning up is as easy as buttering bread. Need a few things clearing up? Check out our Help and Advice section. 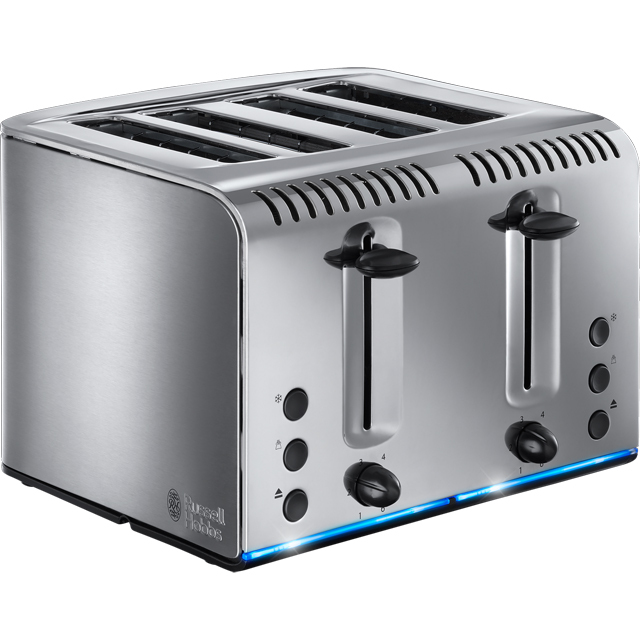 I know tht toasters are a pretty mundane part of any kitchen, but this one is a smart looking item that looks good on a worktop, with straighforward control buttons and a large lever for dropping and lifting toast etc. The lever lifts the toast or crumpets right to the top, making them easy to recover. The crumb tray is easy to remove for cleaning, much easier than our old machine which was very fidly to clean. Any offers are genuine savings. Because we match the prices of competitors, there is the potential for prices to drop further. We will always offer our customers our price match promise. See terms and conditions.